On the eve of the Dragon Boat Festival, in the year of the Dragon, the 2nd Chinese Visual Festival will open with the UK Premiere of the film "Dragon Boat" from director Cao Dan. Join us on 22nd June 2012 at the Free Word Centre in London for our opening gala, which also includes a Q&A session, musical performance and drinks reception. 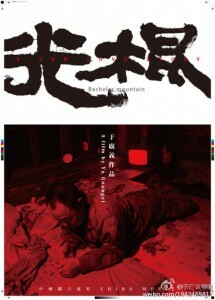 The 2nd Chinese Visual Festival (CVF) takes place from 22nd June to 6th July 2012 across various central London venues. After “Lost in Transformation” in 2011, this year’s CVF will have the theme “Run, China, Run”, tying in with the 2012 London Olympics. Hosting the 2008 Beijing Olympics has affected Chinese society profoundly, far more than any other sporting event or games might have. Besides the construction of various stadiums and the many Olympics related projects, China is racing forward as if modernisation and development are Olympic sports. In the pursuit for speed and applause, what have we gained and what have we lost? 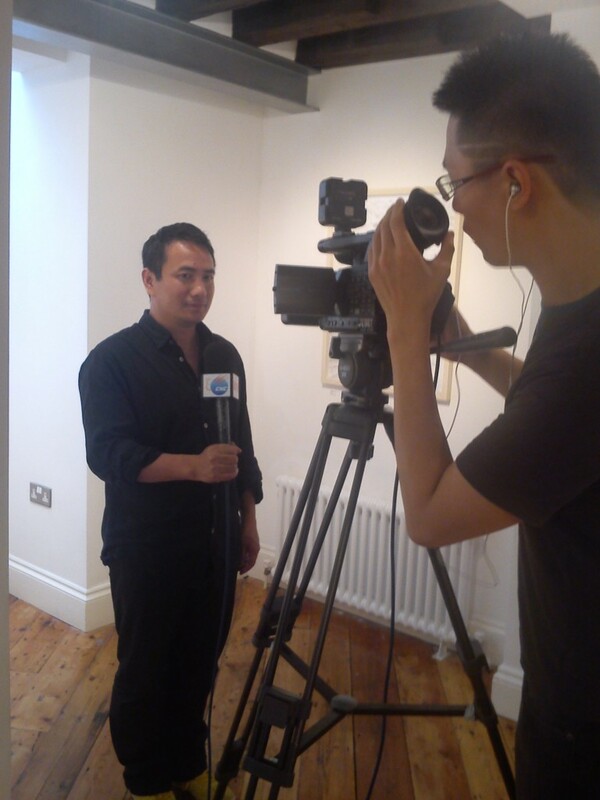 This year’s CVF would like to address the ‘aftershock’ of the 2008 Beijing Olympics and will introduce a variety of related Chinese films and art to London. Exploring the Olympics and China through independent documentary films and art. Featuring 17 Chinese independent documentary films, musical performances from renowned Chinese Pipa player Wang Ting, the art of Wu Xiaohai, discussion sessions and more. 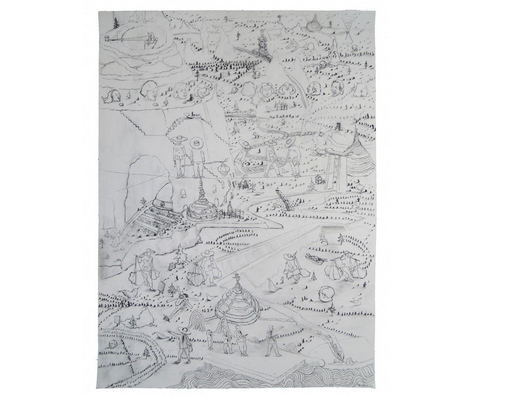 The art exhibition this year will feature “Indoor Movements” by artist Wu Xiaohai, a specially sketched series which plays on the idea of what ‘movements’ means and how it influences our lives and society. Indoor Movements mirrors all kinds of “movements” in our lives and the strength they generate, as well as their many influences on us, society and the environment. In basic terms, sports take place in various venues either indoors or outdoors. Here, what the artist means by “indoor sports” actually take place in our brain. Some are exercises of the limbs coordinated by the brain, some are automatic movements of legs, and some are movements of just lips and tongue. The Indoor Movements series is also a play on words, which mirrors the many movements in our lives, and the influence of these movements on our culture with the artist’s drawings specifically attempting to create a film montage effect. His work has been shown in many different countries and his animation video Mama, I Feel Sick, which was purchased by the French government for the national art collection, will be shown as part of the exhibition. Wu Xiaohai, also a lecturer at the Central Academy of Fine Arts in China, will be making a personal appearance at the festival, with an artist’s talk on the “Indoor Movements” series being held at Frameless Gallery in the evening on Monday 25th June 2012. Films 影片 For our film section this year we have a fascinating selection of 17 independent Chinese documentaries in 4 themed units, exploring some of the most talked about issues in China today, including the human cost of rapid economic development, Western fortune seekers' adventures in Shanghai, and of course, the Beijing Olympics. 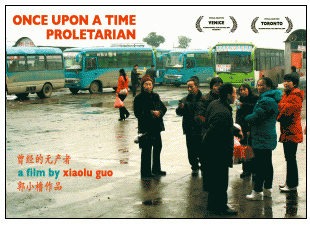 The Once Upon a Time Proletarian is a stunning documentary exploring contemporary China through a series of interviews with people from different classes in society, has won the Champion of the Audience Choice Awards. The annual dragon boat race was a major event for the villagers of Lianxi, on an island in southern China. With the construction of University Town in 2003, the villagers were forced to resettle. Today, the island has been turned into a mini city, and the former site of Lianxi Village has been transformed into a folk culture resort. Resettled villagers return to the site every year to continue their tradition of dragon boat racing. 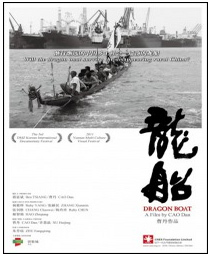 Will the dragon boat remain the link between the villagers and their former homeland? Lianxi village's fate profoundly reflects the many ongoing encounters between native cultures and modernization in China today. In the forest of Heilongjiang Province, in the far north of China, timber supplies have dwindled after a century of logging and most of the local men have lost their livelihoods. Meanwhile, the allure of better jobs in nearby cities has led to an outflow of local women, resulting in a “bachelor mountain” populated by legions of lonely, impoverished, single men. Living in a world of extreme loneliness, San Liangzi, a forty-six year old unemployed logger who lost his job and wife twelve years ago, has grown used to talking to himself. He has been secretly in love with Meizi ,the only single woman in the village for over ten years, and doing unpaid chores for her has brought him the most pleasure in his life. He enjoys the illusion of love，which gives him warmth in such a tough environment and enables his soul to escape the harshness of reality. But his girl will never accept his love because she doesn't like men. Music 音乐 We’re also thrilled to be adding a music section to the festival, and are very honoured to be welcoming the famous Pipa musician Wang Ting, who will be performing in 2 live concerts.